The Small and medium-sized enterprises (SME) sector has called on government to increase their support if these businesses are to survive a sluggish economy and over-indebted consumers. This comes ahead of the 2019 national budget speech on Wednesday afternoon by Finance Minister Tito Mboweni. CEO of Retail Capital, Karl Westvig, says last year President Cyril Ramaphosa announced an outlay of R1.5 billion into a Small Business Fund to be shared among more than 2 million small businesses. Westvig says the Fund should be increased 20 fold to make any real difference. Retail Capital is an SME funder that has helped over 6 000 SME businesses in the last year with funding for expansion. 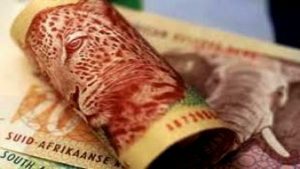 The post Government urged to support SMEs appeared first on SABC News – Breaking news, special reports, world, business, sport coverage of all South African current events. Africa's news leader..